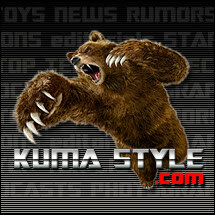 Toy Nippon: BBTS News: Dragon Ball, Terminator, Star Wars, Walking Dead, Transformers, Street Fighter, DC & More! BBTS News: Dragon Ball, Terminator, Star Wars, Walking Dead, Transformers, Street Fighter, DC & More! “Kneel before me. I said, KNEEL!” There are no men like him! Perfectly capturing Tom Hiddleston as Thor’s devious brother, the Asgardian god looms tall with his signature curved horns, regal armor, and a magnificent green cape dramatically swept behind him. Believing he is a king by birthright, Loki looks out across the starways for a new planet to rule. Ruthlessly clutching a Chitauri scepter in his hand, he is determined to take Earth by force, with a formidable army ready to follow. As his cunning plan comes to fruition in Thanos’ realm, he prepares to make his final move, reminding you that in the end – you will always kneel. Like King Arthur, you might think he has no arms left… but "it's just a flesh wound." This terrific Monty Python and the Holy Grail Flesh Wound Black Knight Pop! Vinyl Figure revisits one of the most hilarious moments in the classic comedy Monty Python and the Holy Grail. The Black Knight - complete with bloody stumps - stands about 3 3/4-inches tall and comes in a window display box. "Now stand aside, worthy adversary," and take him home for a little rest and recuperation! We would like to introduce you to Jolly’s good friend “Rudy” the Hatchling T-rex! This is another REBOR Christmas Special and just like Jolly with a cute little Santa hat, Rudy has a little reindeer antler headband. Rudy is Jolly’s companion piece and will look great on your shelf with their interactive postures and holiday accessories, so be sure to add Rudy the T-Rex to your collection today! 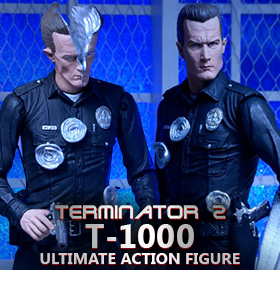 These action figures come with fist fighting action! One position allows for a karate chop when you hit the switch on the back of the figure, and the other position allows for both arms to punch. 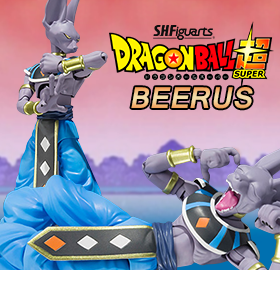 Each figure comes with an authentic cloth outfit and in resealable plastic clamshell packaging that opens and shuts without damaging anything. This set contains Green Lantern, Plastic Man, Flash, and Martian Manhunter. The original Mighty Morphin Power Rangers come to life as collectible 5-inch figures in the Legacy action figure line! 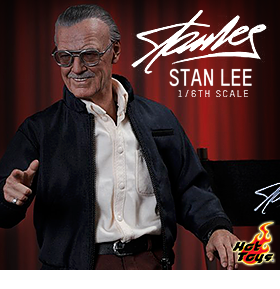 Each figure is highly detailed to include show-accurate styling. With multiple points of articulation and muscular, heroic design, these figures are perfect for play or to put on display! Each figure includes one battle gear item and comes in collectible Legacy packaging, styled after the original Mighty Morphin' figures released by Bandai America in 1993. The illustrious cast of Rocky Horror Picture Show arrives in ReAction form just in-time for the film's 40th anniversary! The set includes helpless newlyweds Brad Majors and Janet Weiss, ringleader Dr. Frank-n-furter and his servant Riff Raff! The lineup for one of the best-known cult classic films wouldn't be complete without Columbia the groupie and Magenta the domestic! Do the Time Warp again with these retro-styled, poseable, 3.75 inch action figures based on the classic '70s cult film. The W01 is a replacement sword for the Feral Rex combiner figure. This item comes in regular gray color and chrome, can be used as a large sword or can be broken down into several small hand held weapons. From the popular browser game "Touken Ranbu ONLINE" comes a 1/8th scale figure of Tsurumaru Kuninaga sculpted in his standard pose faithful to the original illustration. The elegant appearance of his stance, intricate scabbard and beautiful white outfit with various layers, highlights and shadows all come together to give fans Tsurumaru's charm in a way that only a figure can provide. From the game "Shirohime Quest" comes a 1/7th scale figure of the rather frail looking girl who confidently defends her Lord – Aizu Wakamatsu-jou! The figure is based on an illustration that personifies a castle as a beautiful girl, and the figure faithfully captures all the details in the illustration and more. The many versions of Jack Skellington and his faithful ghost dog Zero are now in the highly detailed 3.75 inch scale UDF (Ultra Detail Figure) format! We have 5 different versions of Jack and his dog Zero. The "Death Goji" version of the King of the Monsters as he appeared in Godzilla vs. Destroyah makes a fiery impression and comes in the 27.5 inch 1000% size for $589.99, 11 inch 400% size for $124.99, and the 2.75 inch version for $24.99. Light Blue and Yellow Green are joining the 35 Mechatro WeGo series. These compact 3 inch figures are made of die-cast and plastic parts and articulated for easy posing. They each come with a hat and bag and a clear case style base for $44.99 each. Test & Helicopter robot is also joining the team and the set includes the white and blue Test robot with the yellow Heli unit Helicopter backpack with a clear style base for $59.99. DodgeBall Pop! figures come ready to play! Join in the epic battle between Average Joes and Globo Gym with Peter La Fleur--a true underdog, and the barbaric White Goodman! Just remember that nobody makes him bleed his own blood. Nobody! These 10" deluxe plush are made of soft polyester fibers and are dressed in awesome adaptations of the classic DC characters including Harley Quinn, Poison Ivy and Batgirl. They've delighted generations of movie and TV audiences and now the beloved creations of the Hanna-Barbera studio including Squiddly Diddly, Ricochet Rabbit, Penelope Pitstop and Quick Draw McGraw are available as 3.75 inch tall stylized vinyl figures. From memory to imagination, you can relive the excitement of your favorite Gundam anime again with this new Action New Imagination Memory Emotion (A.N.I.M.E.) series from Tamashii Nations. All-over new joint structure allows you to pose Gundam in anime reminiscent poses and the head is now articulated to gaze upwards. The RX-78-2 Gundam set is $50.99 and includes interchangeable hands, shield, beam rifle, beam effect, hyper bazooka, saber effect, bent saber effect, interchangeable saber grip, firing effect, engine effect, and hand part storage deck. The MS-06S Char’s Zaku set is $55.99 and includes interchangeable hands, zaku machine gun, zaku machine gun effect, heat hawk, heat hawk (stored), zaku bazooka, zaku bazooka effect, firing effect, explosion effect, and hand part storage deck. From the Astray series comes the other star of the show, the Gundam Astray Blue Frame Second L in NXEDGE style! Astray Blue comes with the characteristically large armament Tactical Arms. The Tactical Arms accessory can be transformed into the 3 various forms from the anime for perfect portrayal of your favorite scenes. This set includes interchangeable hands, armor, Tactical Arms, and special display. “Wonder Twin powers activate! Shape of…Retro 8 inch figures!” Both Zan and Jayna have been created in the traditional retro figure style, with costumes based on their trademark outfits and likenesses sculpted by Danny "The Farrow" Anniello. Gleek is different than your standard retro figure, as he has been created with a body type that reflects his small stature as compared to his retro figure counterparts! All three of these latest Super Friends releases are fully poseable figures, and will be encased together in resealable plastic clamshell packaging. Customize your X-Wing squadron with colored X-Wing Bases and Pegs. Available in six different colors including Blue, Clear, Green, Orange, Purple, and Red, these accessory packages come with four small bases, ten small pegs, one large base, and three large pegs. All these bases and pegs are made to the same specifications as standard X-Wing bases and pegs, so they are fully tournament-legal. Use these bases to identify the different ships in your squadron, to distinguish your squadron from your opponent's, or simply to add an extra touch of color to your battles for the galaxy. Play new campaign side missions, new skirmish missions, and get new Command and Deployment cards with these new expansion packs for the Star Wars Imperial Assault Board Game. Choose from the Leia Organa Ally Pack, General Sorin Villain Pack, and the Dengar Ruthless Killer Pack for $9.99 each and the Echo Base Troopers Ally Pack for $12.99. The Mirkwood Infantry are soldiers of Woodland Guard, Silvan Elves sworn to protect and watch over the great forest of Mirkwood, Thranduil's kingdom. They are lethal fighters and experts in the use of various weapons, including the bow and sword. The Mirkwood Infantry Helm is made of poly-resin and finished to look like weathered bronze and steel and has a leather chin-strap and leather padded interior for $499.99 and the Mirkwood Infantry Sword is an elegant design crafted with a two-handed grip featuring ornate decorations, a metal hilt with composite grip, stainless steel blade and a wood wall display for $287.99. These officially licensed and superb quality reproduction items by United Cutlery are exact replicas of the items as they appear in The Lord of the Rings movie trilogy. The Hadhafang Sword of Arwen features a solid metal pommel with wood handgrip, Elven vine design, 420 stainless steel blade and wood display stand for $207.99; the High Elven Warrior sword has an elegant tempered 42 stainless steel false-edged blade, solid metal handle with simulated leather grip with brass plated Elven vine designs, and wood display plaque for $349.99; and the Mace of Sauron is crafted of reinforced fiberglass resin with an aged iron finish and the included oversized One Ring worn by Sauron is crafted in gold plated solid metal. The set comes with a polystone wall mount display for $429.99. Can you see it?! Joining the Dorbz Ridez line is the sensational Wonder Woman, flying high in her invisible jet! She'll happily hover over the rest of your collection! Display your favorite Peanuts scenes with these figure scenery packs by Schleich. The Classic Pack portrays Charlie running up to kick the football held by Lucy while Snoopy tries to warn him; the Valentine’s Pack includes Charlie holding a valentine, Snoopy, and Woodstock sitting on the mailbox; the Great Pumpkin pack includes Linus with a pumpkin, Flying Ace Snoopy and Charlie as a ghost with a rock; and the Christmas pack features Charlie with his little tree and Snoopy with his decorated dog house. Joining the mensHdge Technical Statue lineup are three characters from the dark fantasy manga Seraph of the End: No. 21 Yuichiro Hyakuya, No. 22 Mikaela Hyakuya, and No. 23 Guren Ichinose. Each figure stands between 7 and 8 inches tall and comes with a mensHdge base and postcard. From the alternate dimension of the Cartoon Hangover Bravest Warriors show, comes the always adorable Commander Catbug. Part cat and part ladybug, the soft taco and peanut butter square enthusiast comes in an exclusive paint deco of a black and maroon commander outfit, reminiscent of Captain Picard from Star Trek: The Next Generation. The Bravest Warriors Commander Catbug Pop! 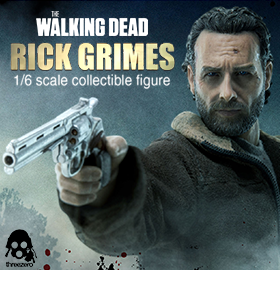 Vinyl Figure is a limited edition that stands 3 3/4-inches tall in a displayable window box. He wants to (quite literally) hang out with you. Fans of the Bravest Warriors animated series should not pass up this ever-so-cute intergalactic tyrant! This 1/8 scale figure of Asuka Langley Shikinami stands nearly 8 inches tall and features her newly redesigned signature plug suit and her gigantic lance weapon as seen in the new Evangelion movies. Rei Ayanami stands nearly 8 inches tall and features her signature suit and spear weapon as seen in the original video animation. The spear is over 10 inches long! From the anime series 'The Rolling Girls' comes a Nendoroid of Nozomi Moritomo! She comes with both a standard smiling expression as well as the expression she makes after drinking some Cheerio - a bottle of Cheerio is also included for her to hold! Additionally, the red motorbike and sidecar which play an important role in the series are also included, and you can even place another Nendoroid to ride alongside her in the sidecar! From the cult classic Nightmare on Elm Street horror films, our newest retro clothed action figure is Freddy as he appeared in Part 3: Dream Warriors! Freddy stands 8 inches tall and is dressed in fabric clothing similar to the iconic toy lines of the 1970s. He's fully poseable and truly terrifying - just lift his sweater to see the tortured spirits trapped in his Chest of Souls! Removable hat included. The latest book and mask set stars classic DC villain Deathstroke, and features a PVC mask plus DEATHSTROKE VOL. 1: GODS OF WAR Trade Paperback, collecting issues #1-6 of the new, hit series! Gotham City's female Dark Knight stars in the newest addition to the line of gorgeous statues inspired by the pinup girls of the 1940s and 1950s designed by Ant Lucia. This 10.5 inch tall statue is sculpted by Tim Miller. Ideal for enhancing battle scenes with a fully charged impact, or electrifying power build ups, this thrilling lightning effect accessory set can be used with the separately sold Tamashii Stage support stands and action figure lines such as S.H. Figuarts to create extreme action sequences. The yellow or blue lightning bolt consists of five pieces that can be mixed and matched for maximum effect. Display your figures in a fresh new way! Act Combinations allows you to pose multiple figures for re-creating battle scenes. Freely piece together the stage parts to create your ideal display stage. Set includes large plates (x2), square plates (x2), joints (x4), and support poles (x2) and comes in Black, Clear, or Clear Blue. Gun Buster is a classic favorite among fans and appears this time in a stunning coloration concept authentic to the original anime. The body has an additional hint of purple that adds depth to the shadows, while the red highlights on the chest and orange lines along the body get a lavish metallic finish. You can pose the dignified Gun Buster standing atop his special SOC display stage. This stunning set also includes Buster Machines 1 and 2, interchangeable hands (x11), and accessory parts. Suffering from the loss of his son at the hands of his wife-turned-walker, Morgan Jones began to lose touch with his humanity. As seen in the Season 3 episode, ‘Clear,’ Morgan devises intricate and complicated traps to shield himself from both Walkers and Humans alike. 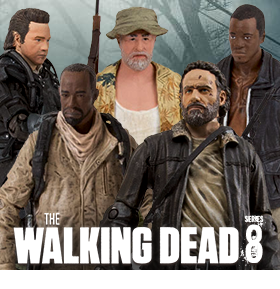 The set features a blood-splattered ‘Survivor Edition’ version of Morgan Jones that has 22 points of articulation and includes assault rifle, walking stick, backpack and the bloodied Walker Spike Trap made of a wooden cable spool with six removable spikes. The included female Walker figure can be impaled onto the spikes. MT Combiners consist of multiple transforming robots and each robot has their own vehicle form. Every member of the Combiners features great articulation and body proportions. State-of-art mechanisms are applied to ensure the combined mode's stability and articulation. Rover is the second figure in the Guardia combiner and transforms into a police cruiser. Crush the resistance in the desert with the Star Wars The Force Awakens Desert Assault Walker with First Order Stormtrooper Officer! The 7-inch tall Desert Assault Walker features an articulated chin gun, jointed hips, and moving ankles so you can pose it in a variety of fun and menacing ways. The 3.75 inch First Order Stormtrooper Officer is designed to stand perfectly atop his mighty mechanical monster and boasts fully articulated shoulders, hips, and neck. His blaster is painted with black details and is specially designed to plug right in to his thigh, rather than deal with bulky and antiquated holsters. Form the mighty Feral Rex combiner with the R-03 Bovis Supply Specialist and R-05 Fortis Ground Assaulter for $104.99 each and the R-04 Leo Dux Squadron Commander for $124.99. The R-01G Grandus Hexatron Continuum can change into 6 modes including APC, winged wolf, tank, star fighter, laser gun, and robot. In robot mode, it stands about 9.5 inches tall to the top of his head. Continuum features a new head sculpt, new chest wings and badge, new beast head, metallic and chrome finish and new box art design for $139.99. This set contains two transforming cassettes. One changes into a gray and blue robot, while the other becomes a scientific autonomous data collector. These cassettes should be compatible with the many versions of transforming cassette players. IF-EX11 Evillord stands 4.75 inches tall in robot mode, is armed with a blaster and is able to transform into base mode. Evillord can also separate and transform into a jet and tank mode. Did you miss the chance to collect all the Star Wars Pop! figures before they were gone? Here is your chance to collect them all! In celebration of the new movie, Funko is re-releasing one previously vaulted Star Wars Pop! figure per month until the new items release. The Luke Skywalker Pop! 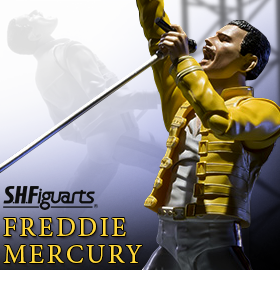 comes in special edition packaging that distinguishes it from the original figure. This fully articulated 12 inch tall figure of Commander John Shepard is based on his look in Mass Effect 3 and comes with interchangeable hands, incredibly detailed mechanic parts, and his signature weapons: M8 Avenger, M5 Phalanx and Omni Blade. From Halo 4: Guardians, this 13.5 inch tall UNSC Spartan Gabriel Thorne figure features over 35 points of articulation including fully articulated fingers, weapons that attach to the shoulder and upper leg armor with magnets, illuminated helmet and combat armor with over 24 LED lights, and a highly detailed sculpt and paint application. Spartan Gabriel Thorne is ready for battle with his M6H Handgun, MA5D Assault Rifle and M11 Combat Knife. Thanks for your interest inBigBadToyStore.com! Check out the cool items we have listed above, and visit the site for many more!